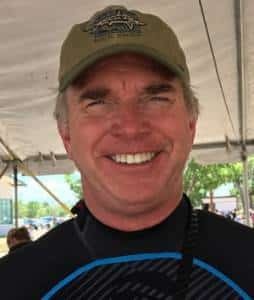 It’s no secret that The Scuba Company has some of the best instructors in not only Albuquerque, but all of New Mexico. Our instructors are dedicated and, as always, are there to ensure you have a safe, happy and informative dive experience. 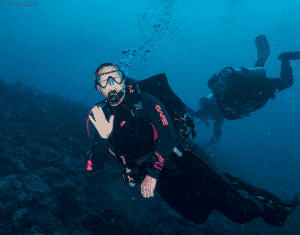 These instructors don’t just teach to teach, they instruct classes because they all love scuba diving, and it has changed their lives in one way or another. Jay has dove everything from muddy-brown lakes and rivers, in the Atlantic, Pacific, and Caribbean oceans and Central America. Through all the dives, Jay has enjoyed the pristine beauty of life beneath the waves. 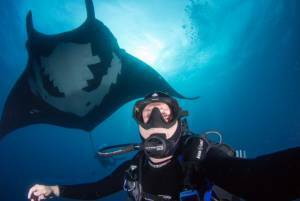 His favorite dive destinations include Belize and Little Cayman. Most memorable dive: Diving with a fifty-foot humpback whale near the British West Indies. Shortly after finishing AOW and PPB, Michele took a work assignment in Ireland for 10 months. When we next saw each other I had finished my Dive Master and we were diving off the Connemara coast west of Galway. In 2005, I completed my IE and continued training and teaching, which I really enjoy. All of my other toys have long since been sold and all we do is scuba dive. I heard about Operation Deep Down through a friend and volunteered Michele to help facilitate our committee meetings. The rest is history. Some of his more enjoyed dives were in the Galapagos, Red Sea, Fiji, the Caribbean, and kelp diving in California. 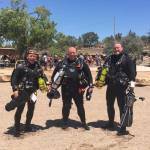 Local diving is also a favorite in locations like Balmorhea and Rock Lake. Blue Hole turns out to be a great place to train divers, with water temperatures that are higher than anything he has experienced in California at diving depth. Mike started teaching in 2000 and enjoys it immensely. He is especially interested in the physics of diving, and work that into his classes for deep diving and dive master. Most Memorable Dive: There are so many that I can’t decide! 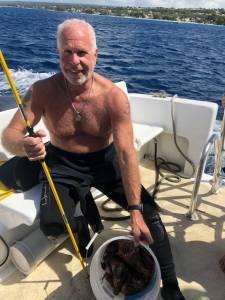 There was swimming with hammerheads in the Galapagos, a wonderful dive with Ken Cincinnati in Belize, diving with my daughter in the Red Sea, and playing with squid and octopus in Honduras with Jennifer Klecker, Giusseppe Mavralone, and Tom Waters. 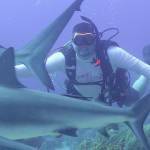 He didn’t stop there, moving from Divemaster to Instructor and finally IDC Staff Instructor. Yasmany is absolutely enthralled with diving and loves to share this passion with prospective and current divers. In 2017 Yasmany obtained 300 certifications, making him a PADI Elite Instructor, the only PADI Elite Instructor in New Mexico. 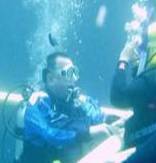 Most Memorable Dive: His very first open water dive in Blue Hole on November 11, 2012, it changed his life. Rebecca didn’t become an instructor then but continued to travel often and everywhere. 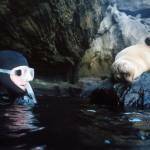 After her child learned to dive, it was suggested that she become an instructor. She hopes that everyone takes the plunge and learns to dive. It will literally change your world. Most Memorable dive: It is very hard to choose but some of the more memorable dives include an octopus climbing onto my hand in Roatan, a barracuda following me on a deep wreck and flying Eagle Rays flying in formation on a wreck dive. They have all been memorable! “Everything underwater is different. The rules change. It is a place of constant learning and discovery.” To this day he constantly strives to learn more and increase his knowledge of diving and the underwater world. Although David has had the opportunity to dive in many places, one of his favorites is right here in NM at Rock Lake.